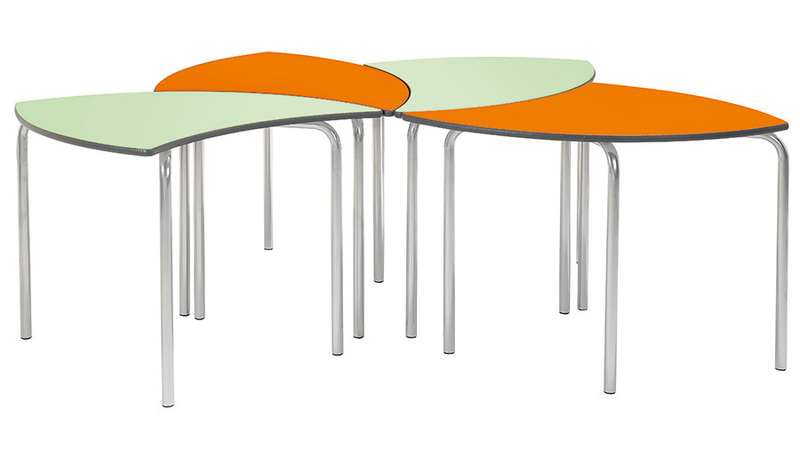 The Equation leaf tables come in a set of 2 and can be combined with each other to create a large circle or a flower shape. 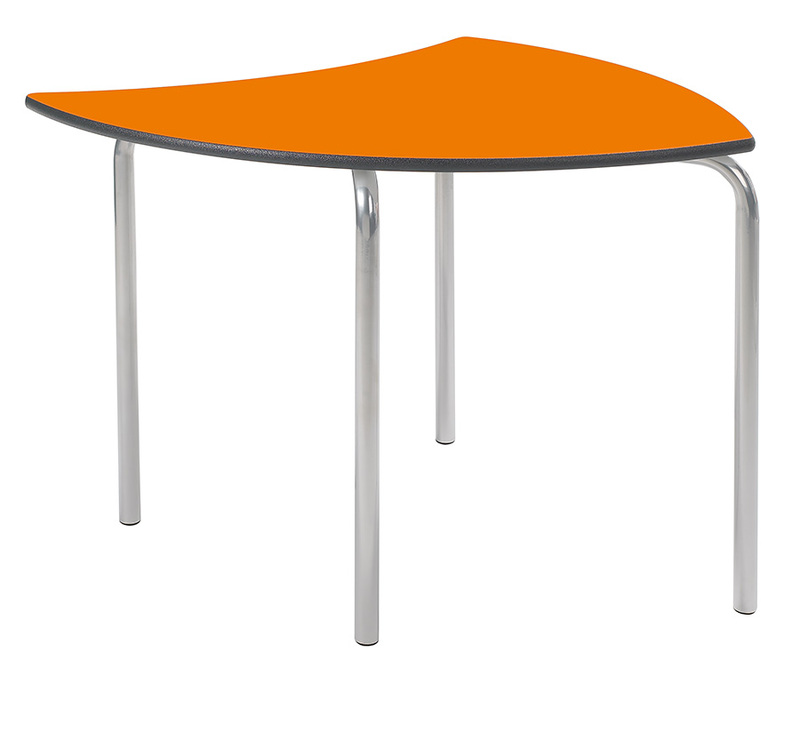 When separated the leaf tables are ideal for individuals or, if work space isn't too important, small group work. 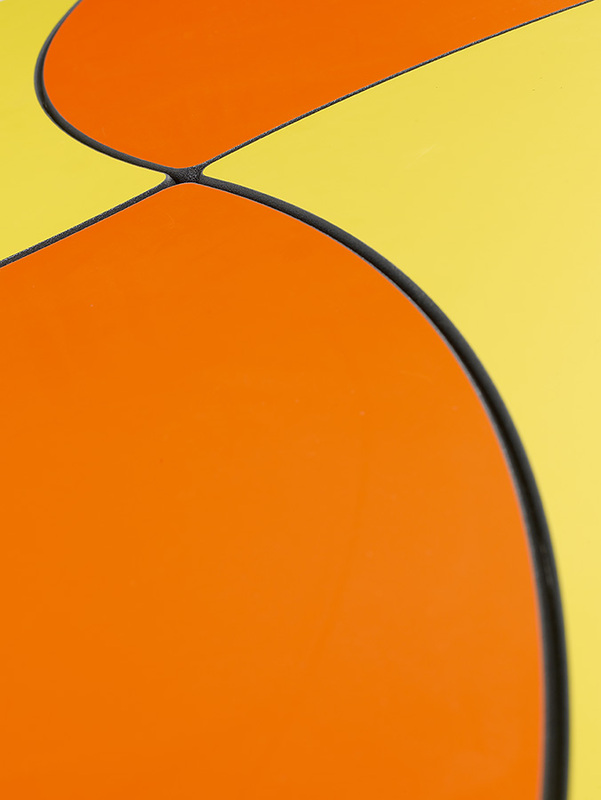 Designed to withstand constant use in schools and nurseries, these classroom tables have a durable, laminated, 25mm thick table top available in 11 vibrant colours which would brighten up any classroom. 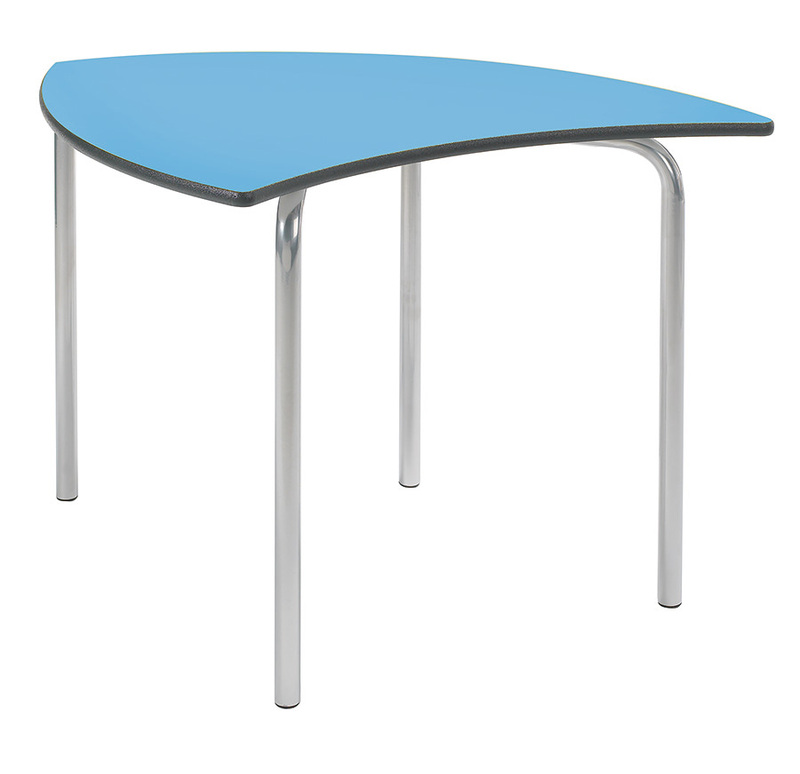 The leaf tables have a tough, textured PU edging in a choice of 3 colours - blue, light grey or charcoal. 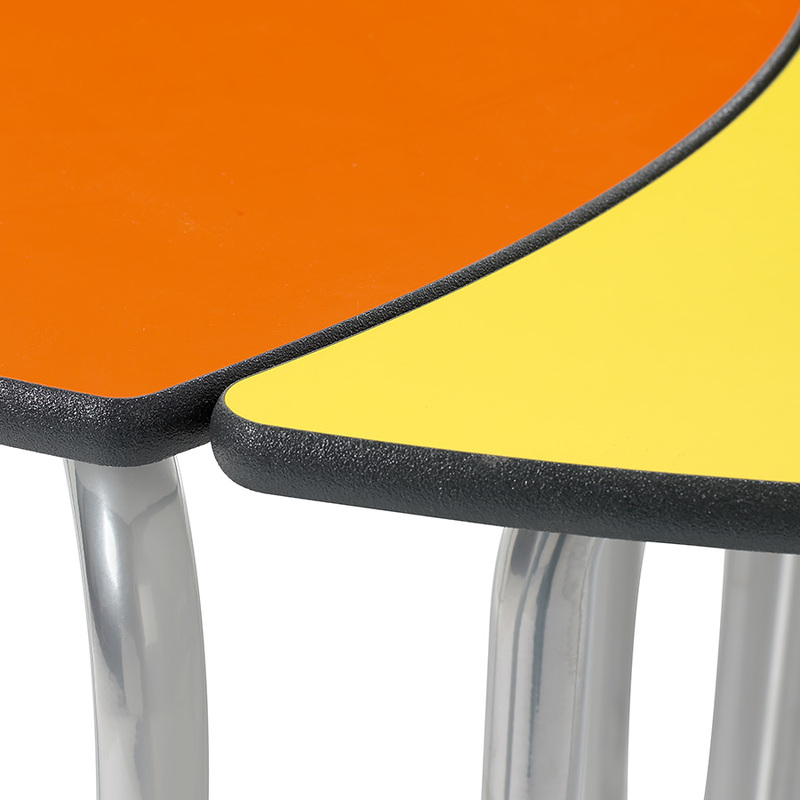 The school tables also feature height adjustable feet to ensure stability and tamperproof screw fixings which are ideal for educational environments. The Equation leaf table comes with a 10 year guarantee. 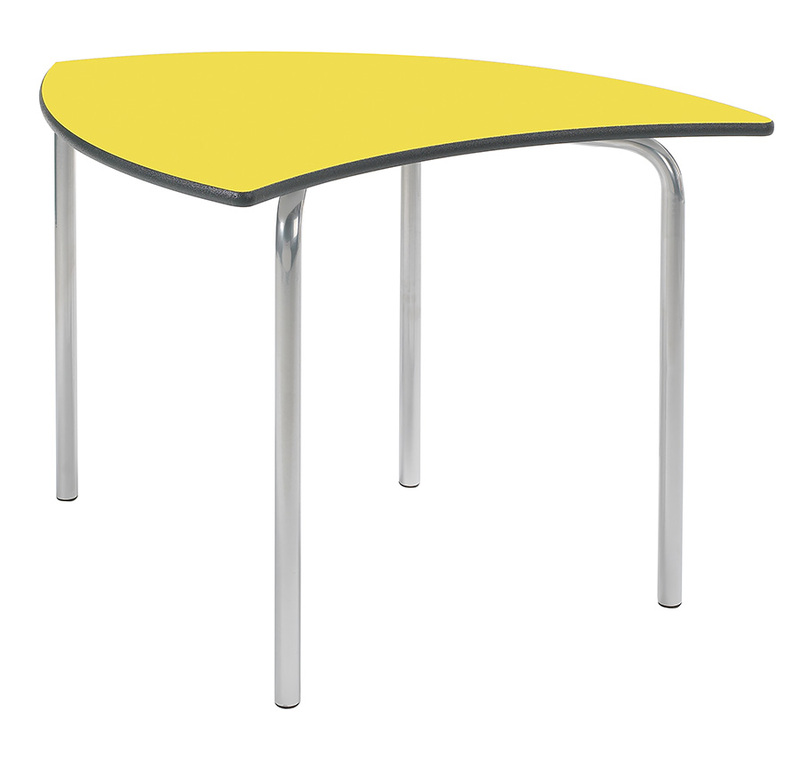 Our Equation school table range includes other shapes such as Rectangular, Trapezoidal, Circular, Semi-Circular and Arc tables. 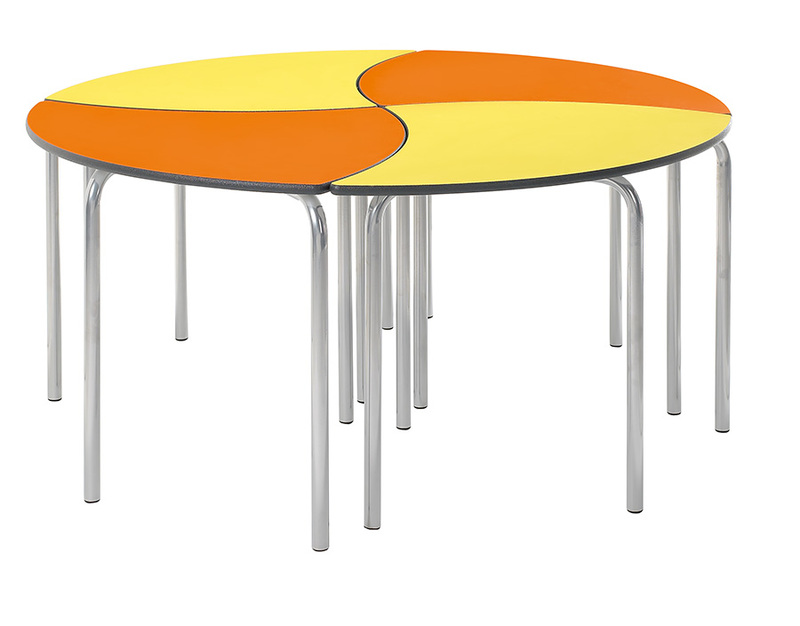 Equation Jewel tables are also available which fit together in a range of combinations to create fun shaped tables.